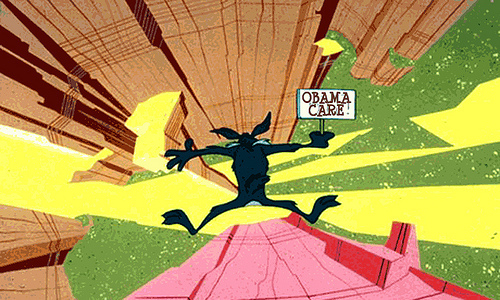 Will wellness kill Obamacare? Some observers are fretting that unless HR departments get to bypass concerns of the EEOC about discriminatory wellness programs, then “the whole point of the Affordable Care Act” will be subverted. The Business Roundtable — an organization of big business CEOs — is hopping mad that the EEOC has sued Honeywell because of a supposedly voluntary wellness program that imposes penalties as high as $4,000 on employees who don’t participate. So it’s threatening to undermine Obamacare if the EEOC won’t back off. At one stroke, the Obama administration has made potential enemies of some of the biggest employers that were at least neutral about the Obama health reforms. It doesn’t make sense. President Barack Obama himself must step in and restore the vitality of a cause his own wife as first lady has been championing. Carrots are good, and sticks can help the carrots. It sounds great. A little bit of carrot and a little bit of stick and maybe employers can nudge workers to be healthier. But the problem is, there’s no evidence it works that way. In fact, the evidence is that these wellness penalties are just a tool for shifting costs to people with low wages and chronic diseases. That’s the conclusion of a 2013 study in the journal Health Affairs. Wellness programs that genuinely promote good health don’t need threats and penalties to work. Caution is needed here. One of the good points of the ACA that most everyone agrees upon (if there is such a thing) is banning higher costs for people with pre-existing conditions. But bogus wellness programs — by shifting costs to people with pre-existing chronic diseases — could open the door for essentially the same kind of discrimination we just eliminated. Talk about one step forward and two steps back. Click here to read the Post-Gazette’s viewpoint and here to read Kyle’s response. Here you can read an excellent overview of the issue from Morgan Downey.